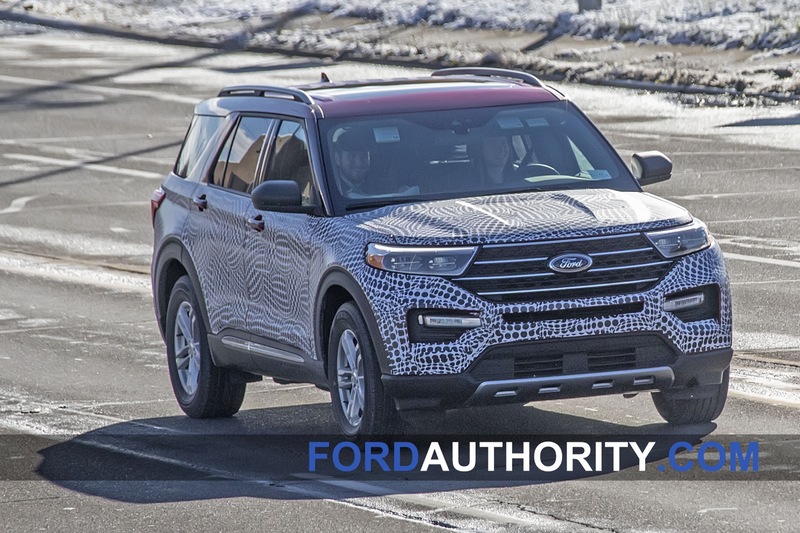 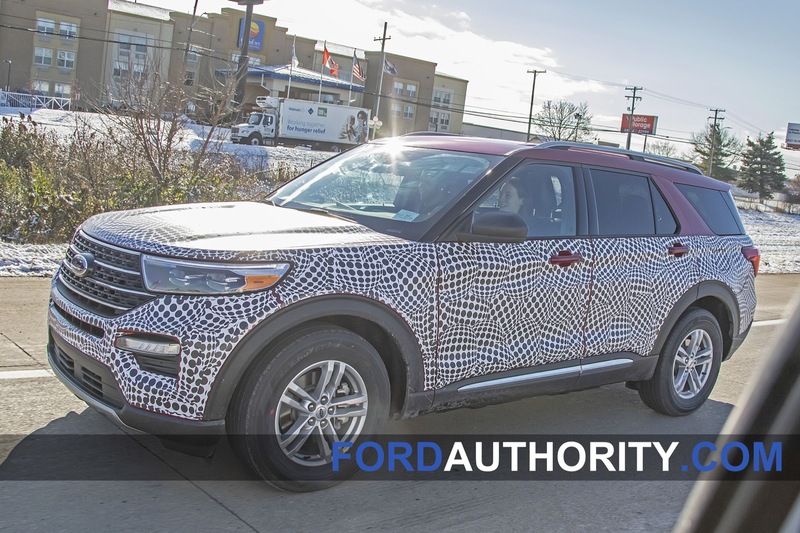 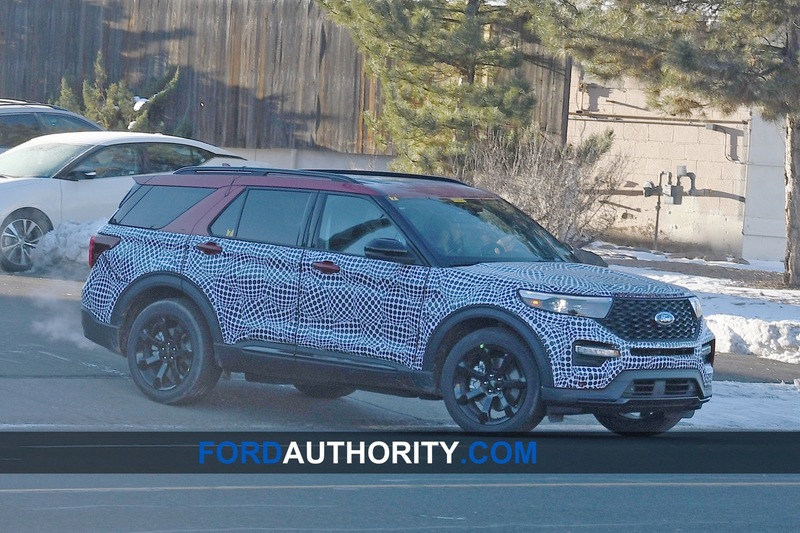 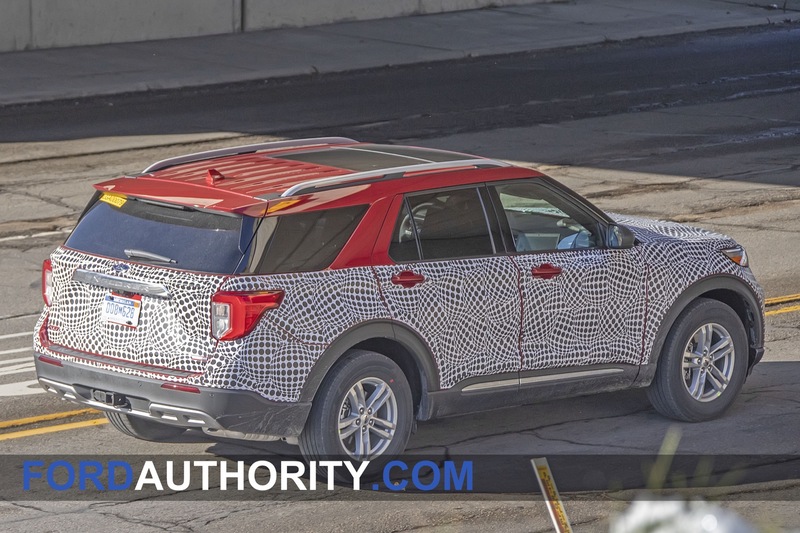 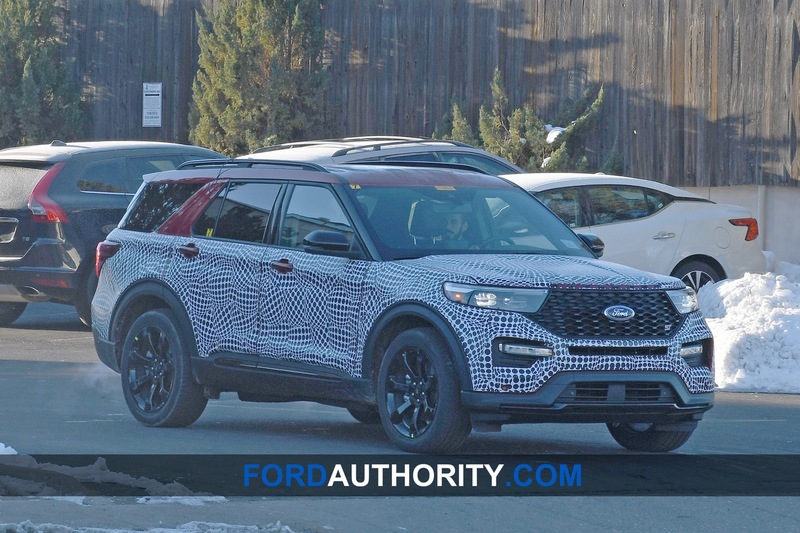 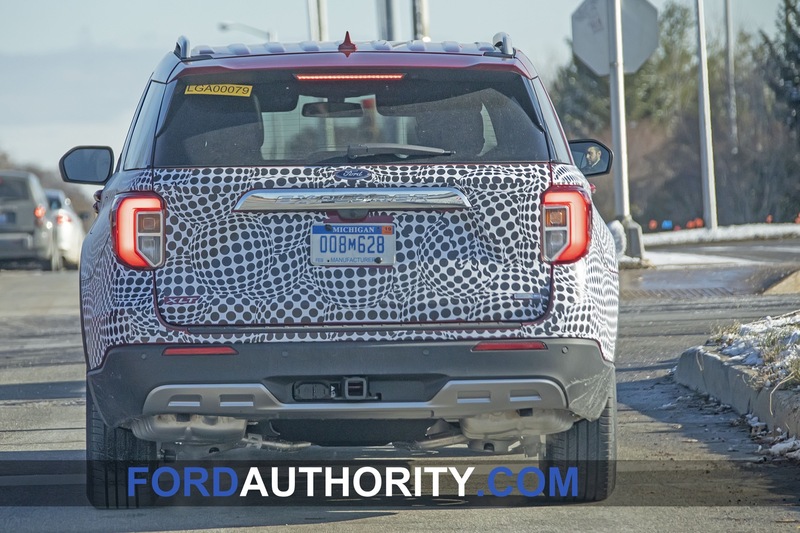 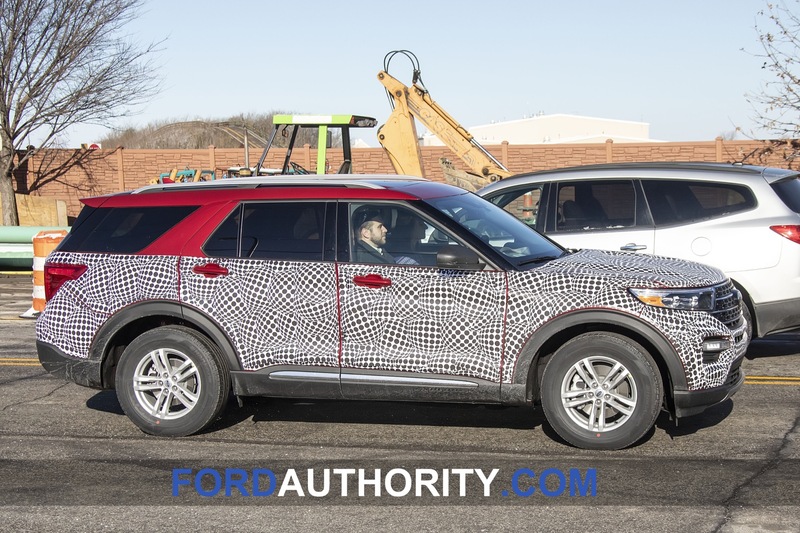 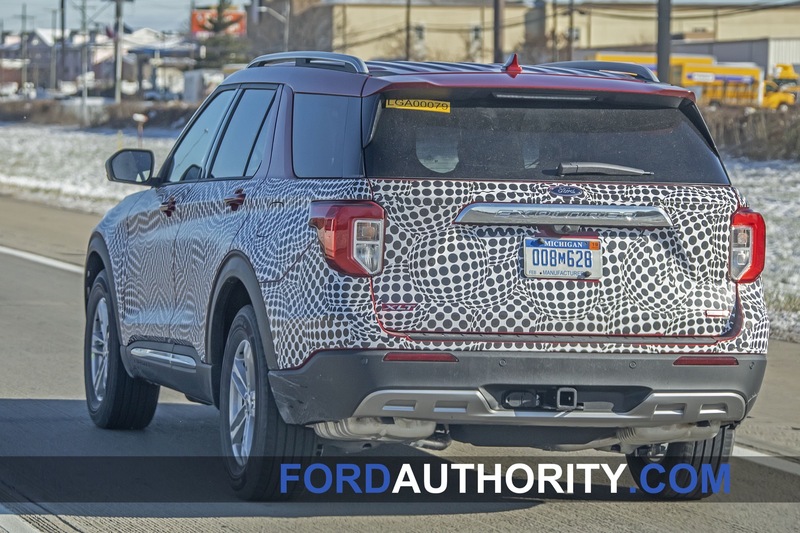 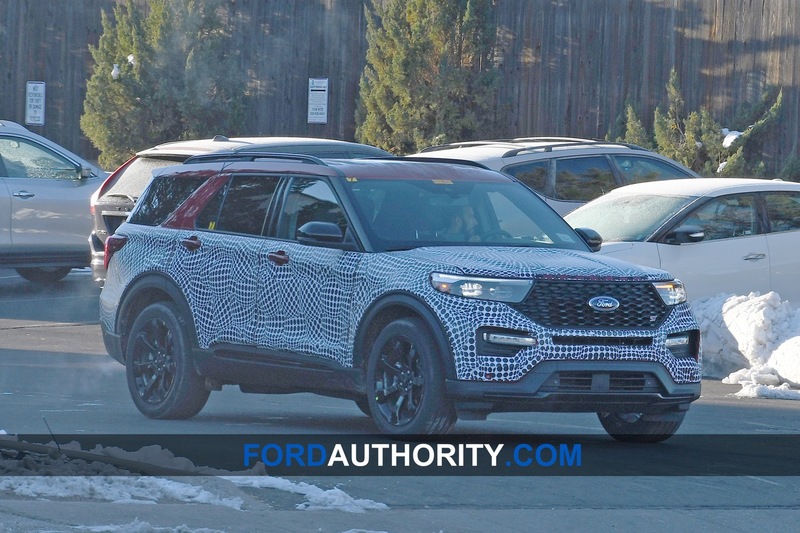 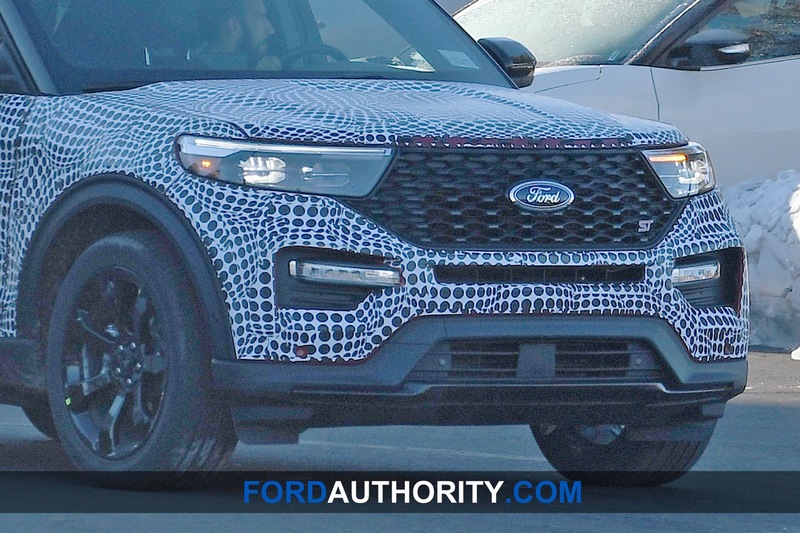 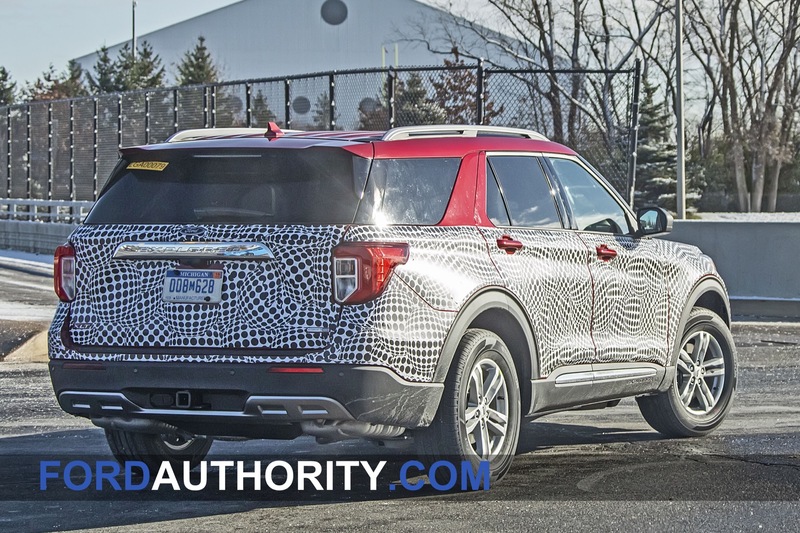 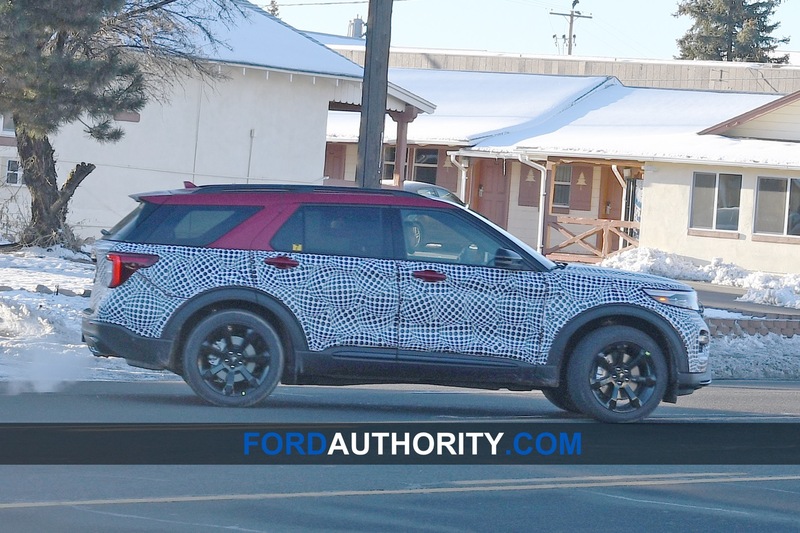 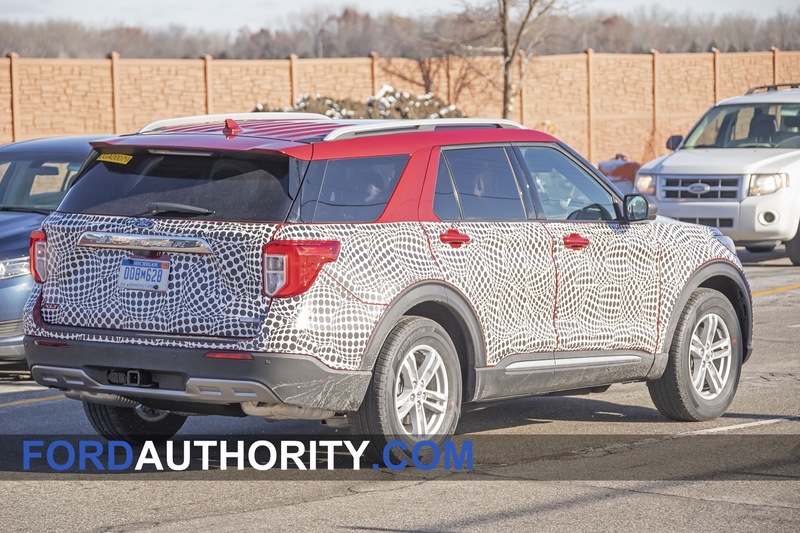 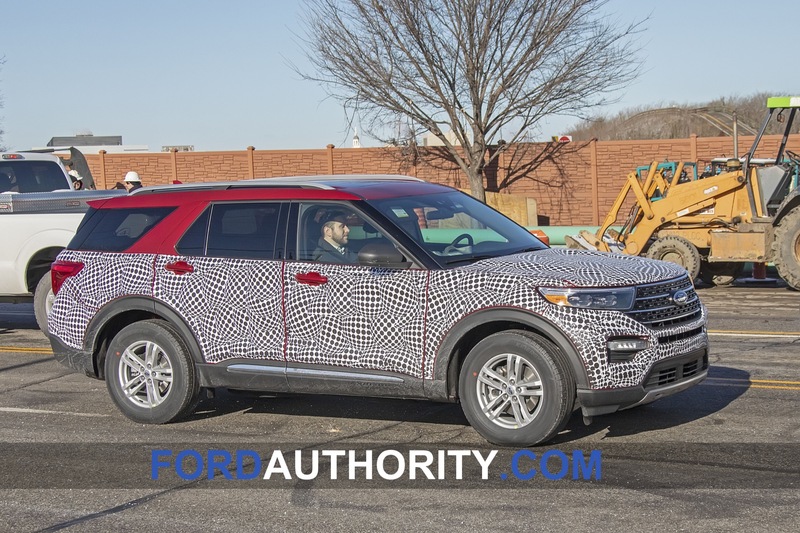 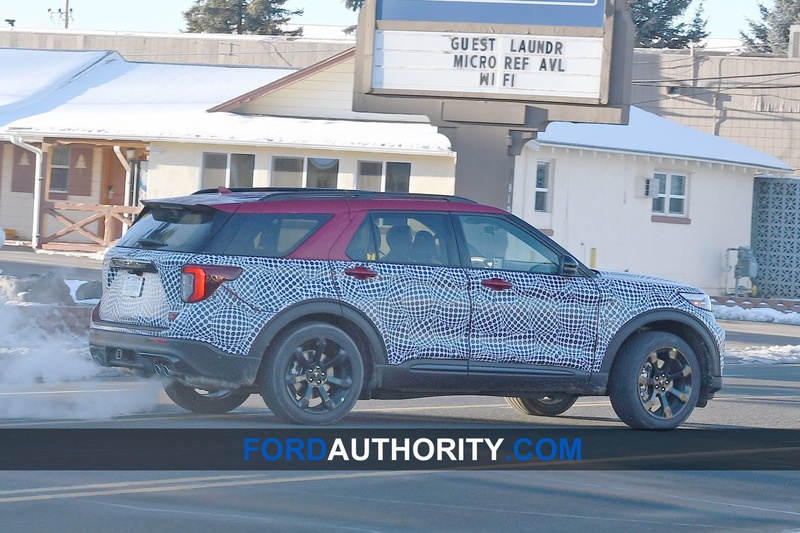 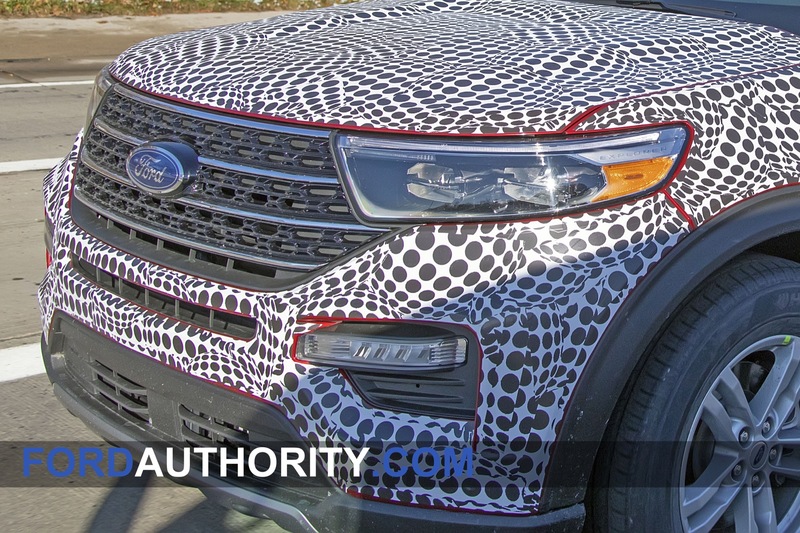 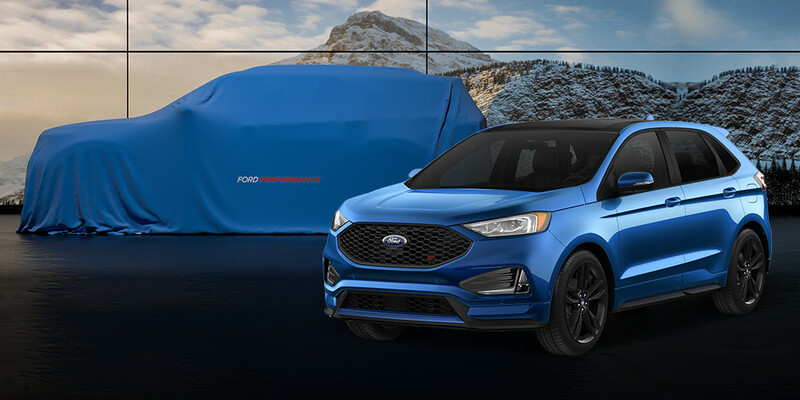 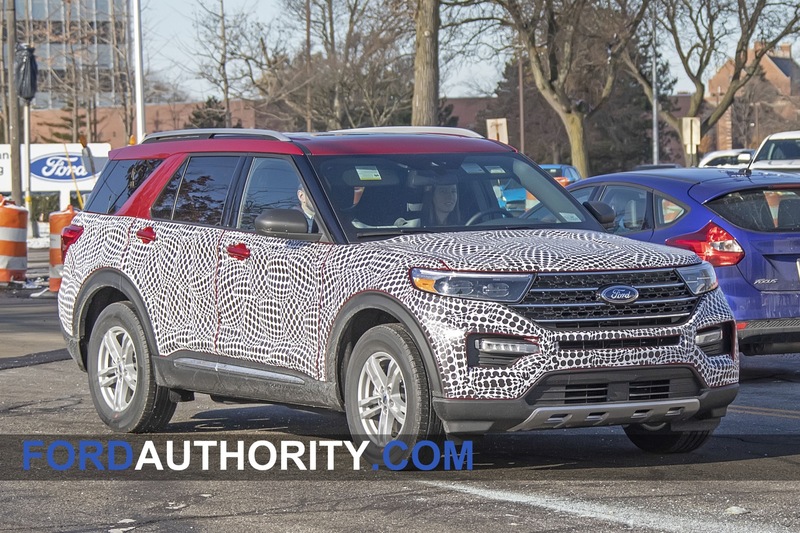 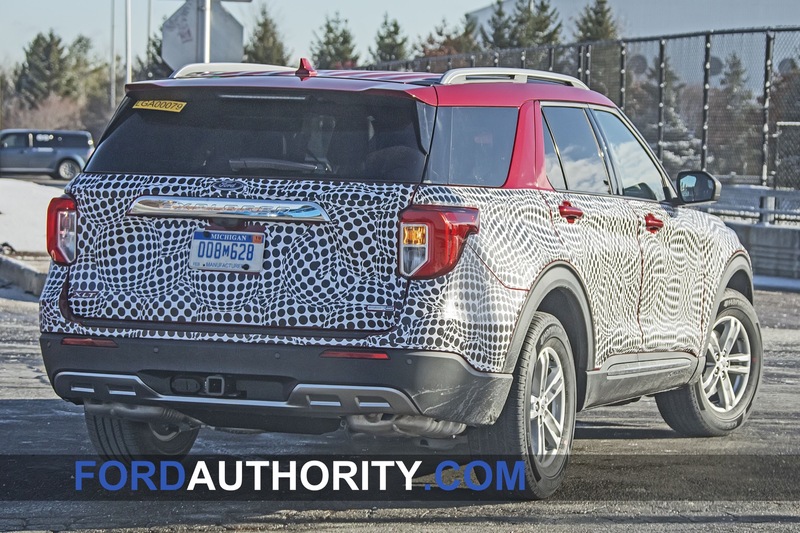 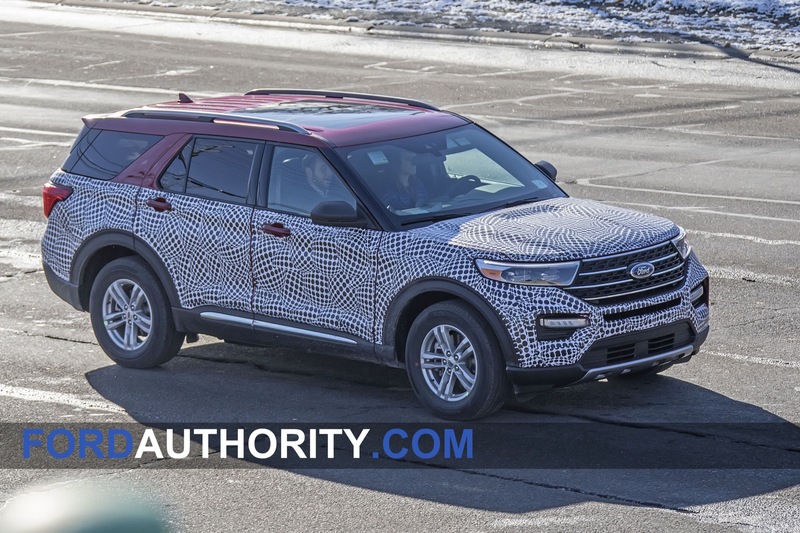 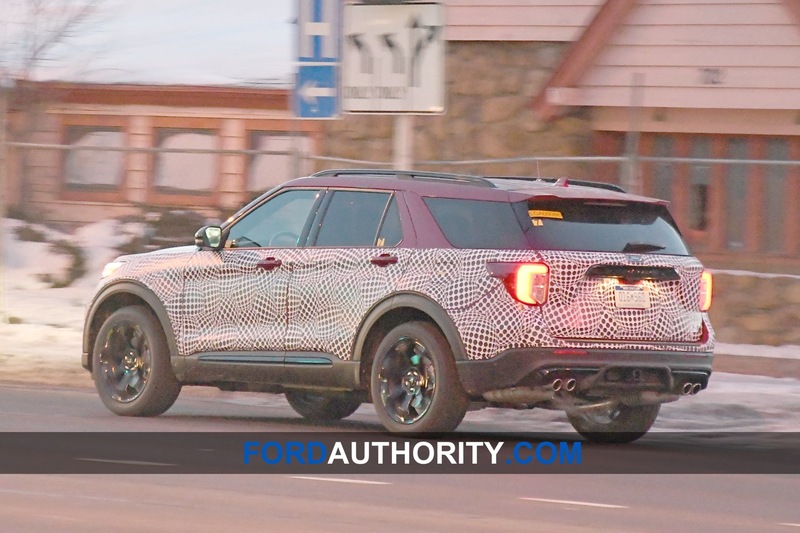 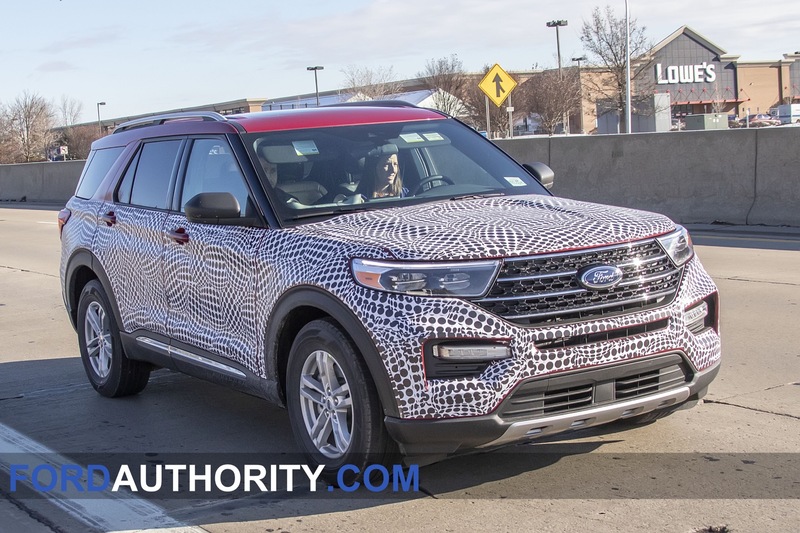 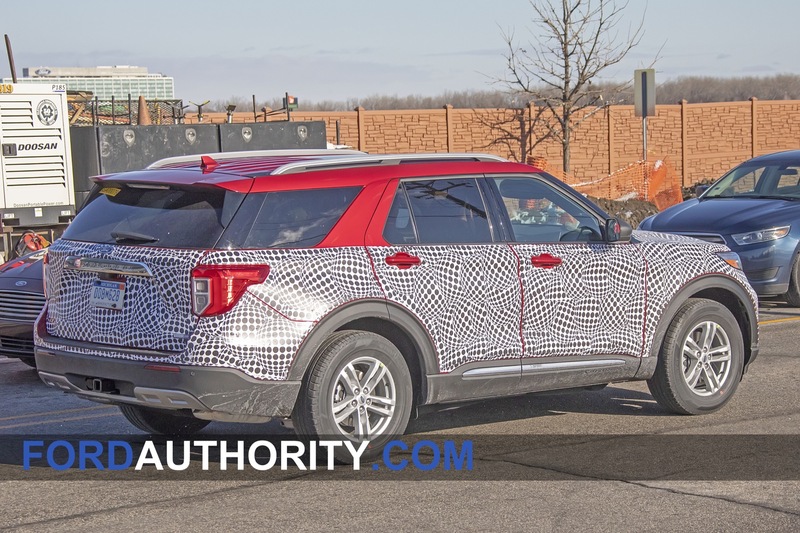 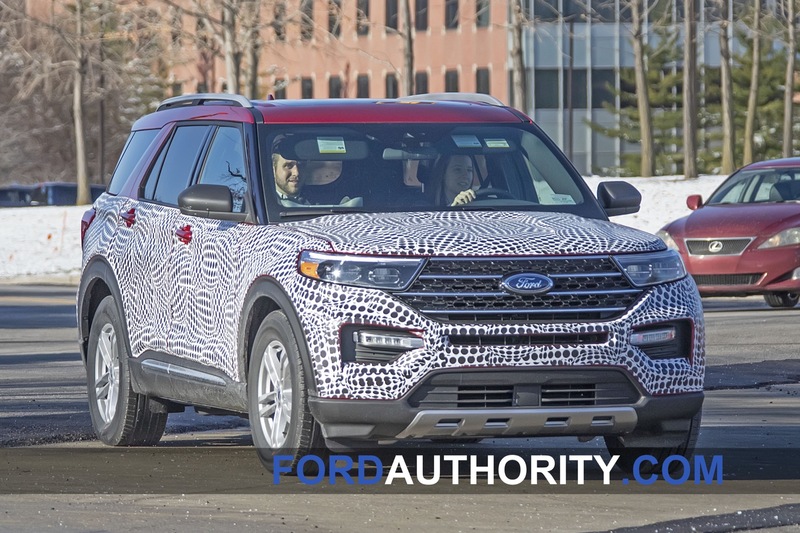 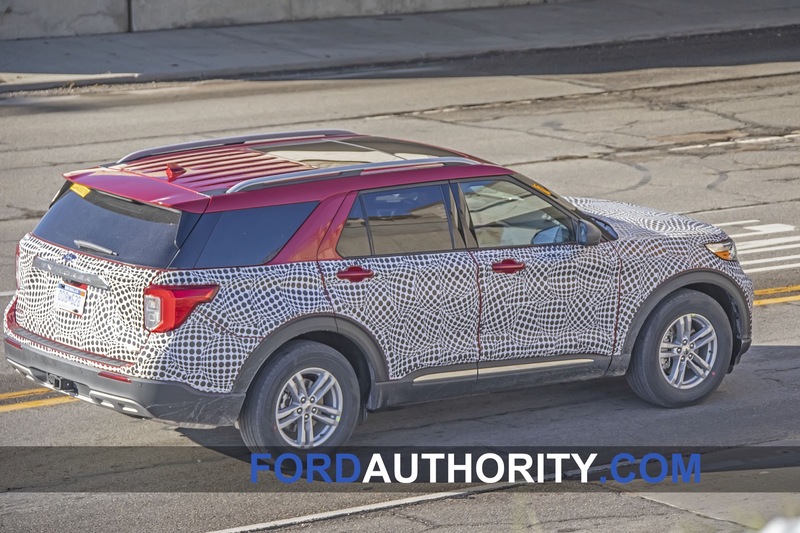 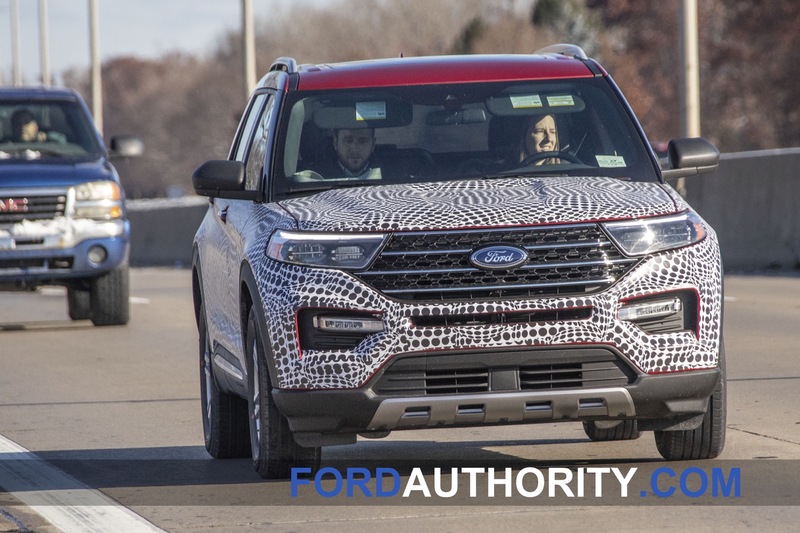 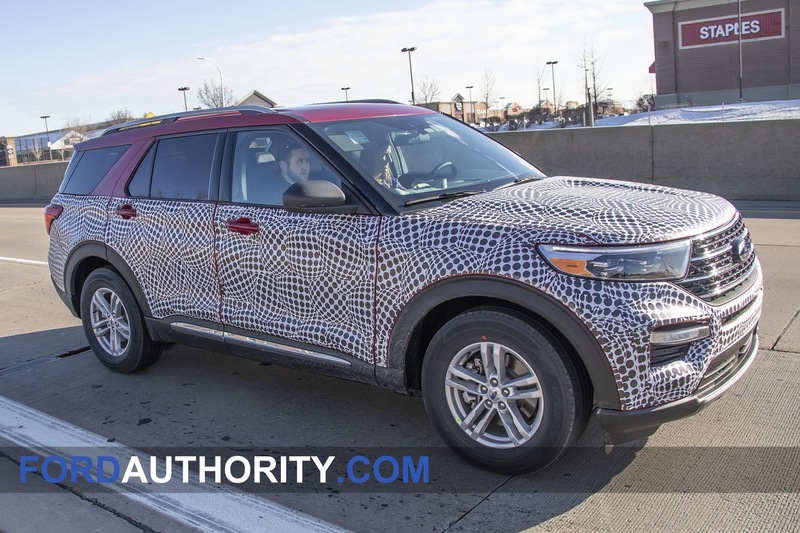 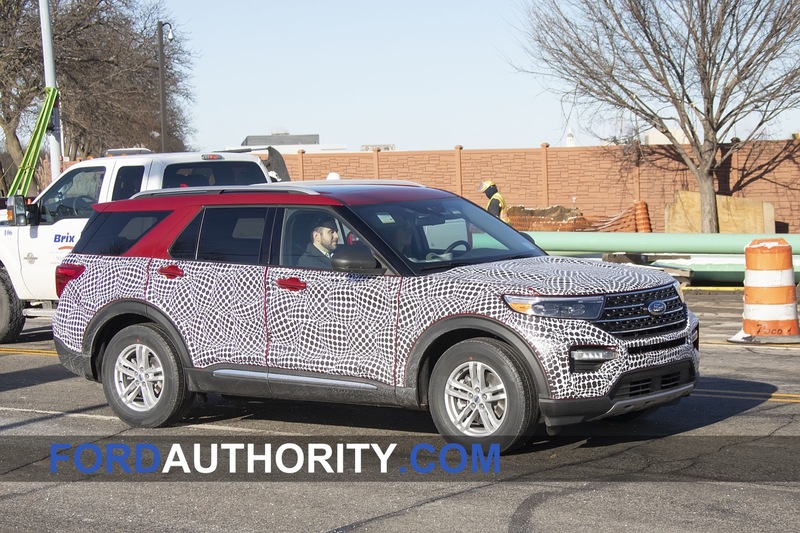 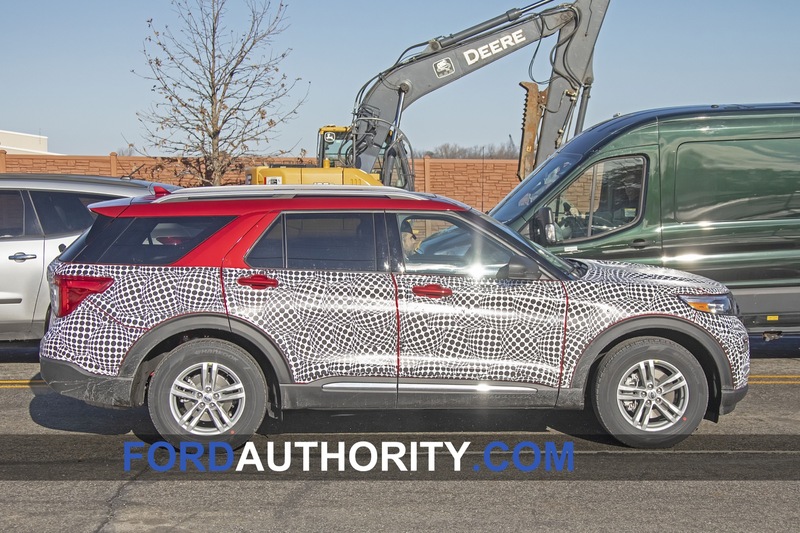 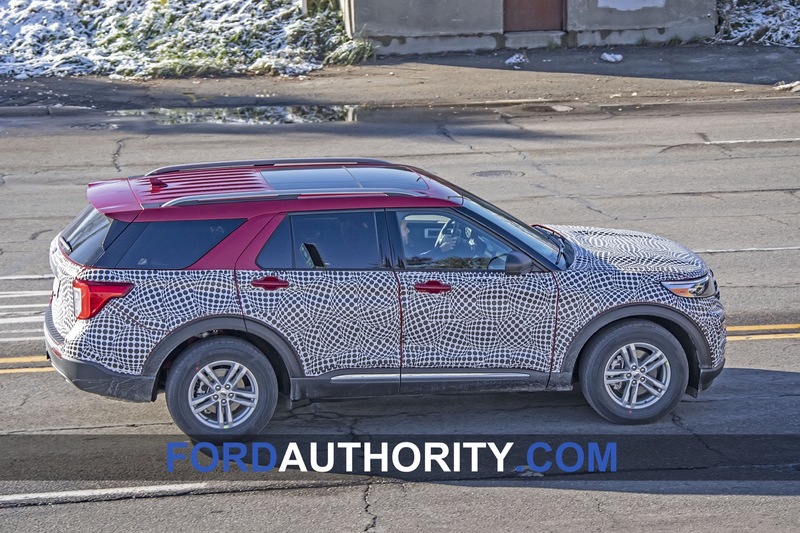 Last week, we caught the upcoming 2020 Ford Explorer with minimal camo. 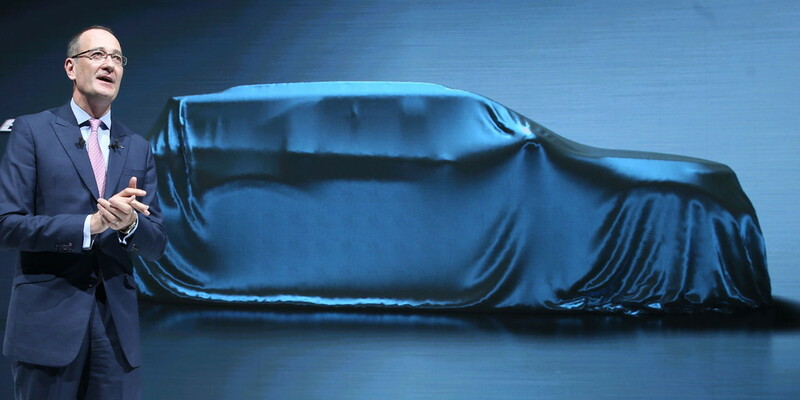 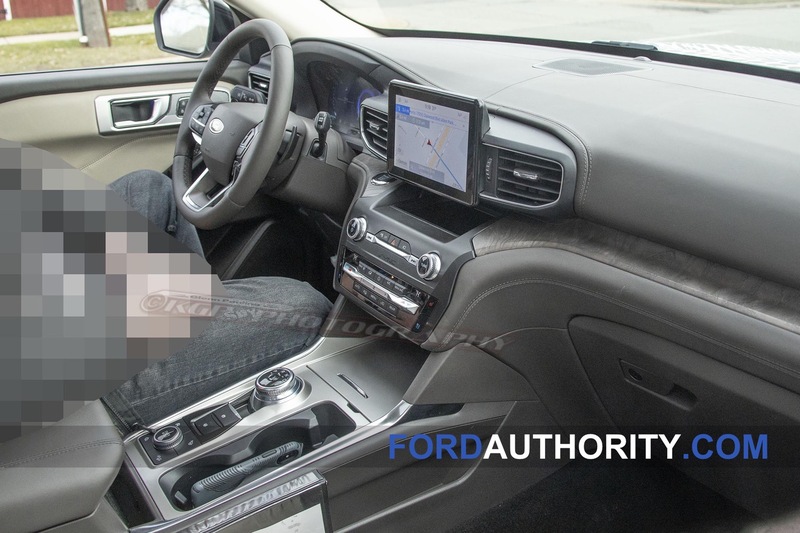 Now, we got a completely undisguised view of the upcoming full-size crossover’s cabin. 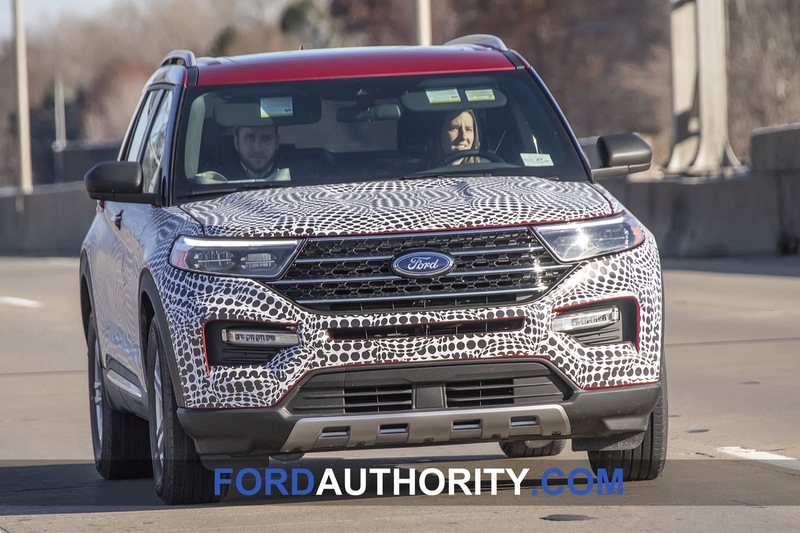 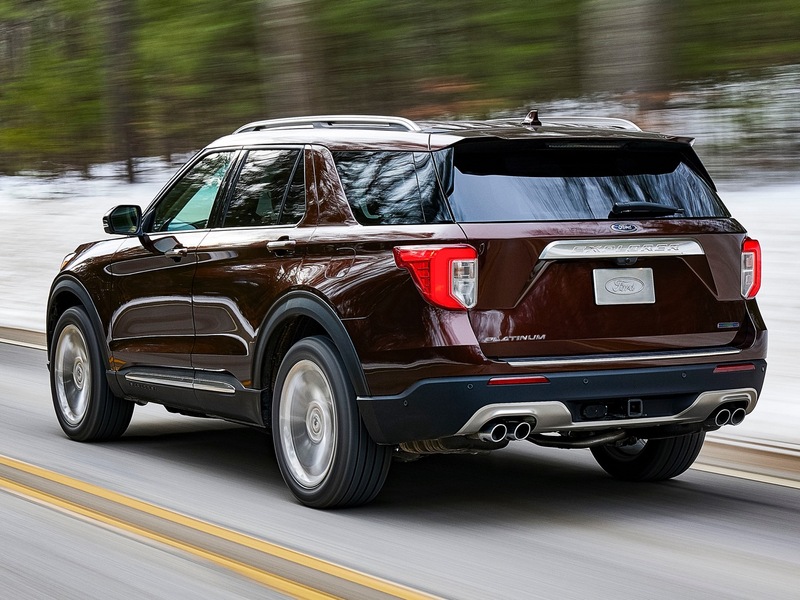 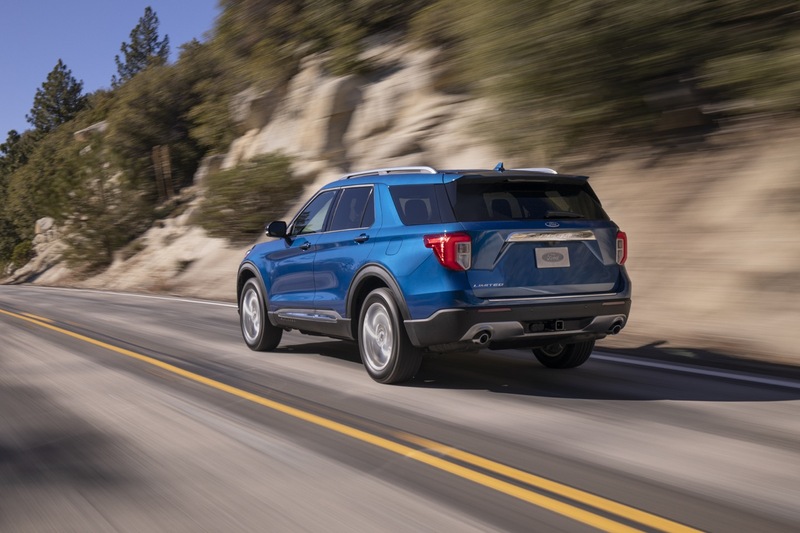 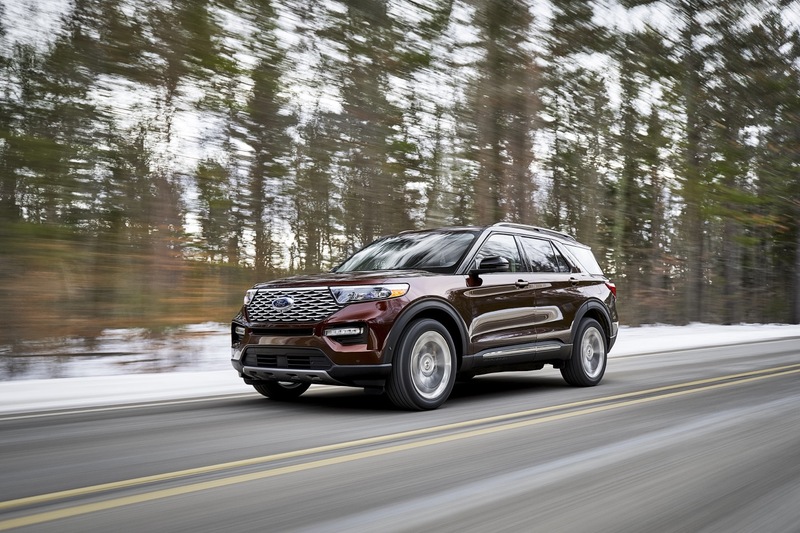 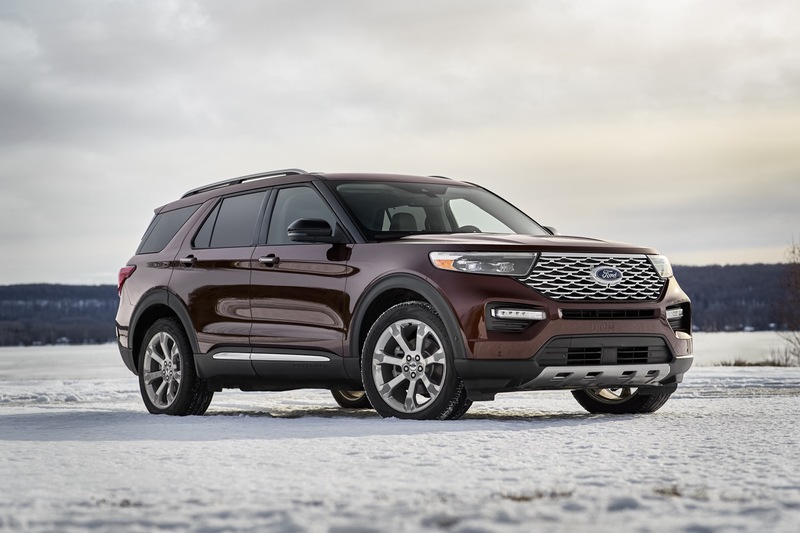 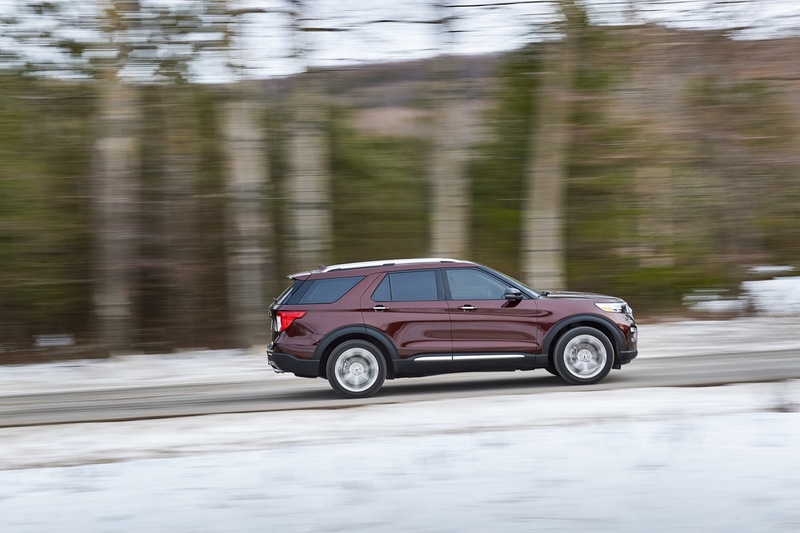 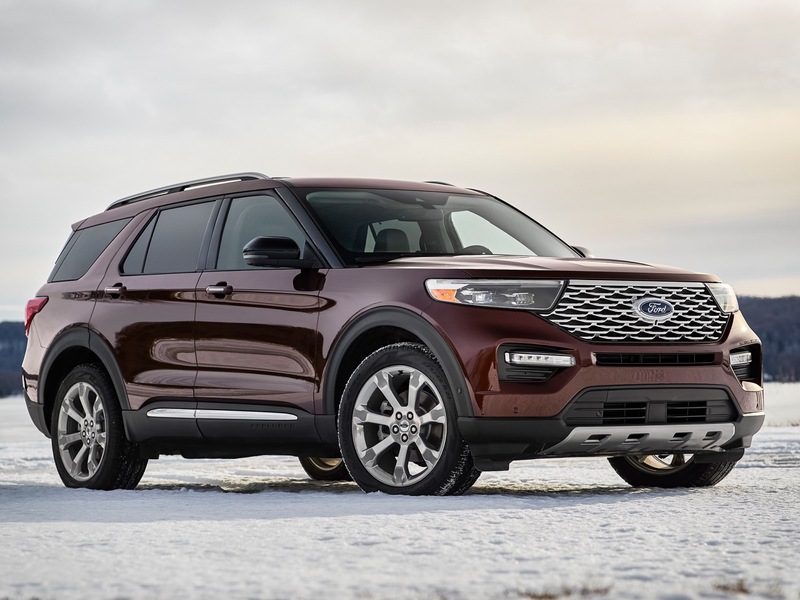 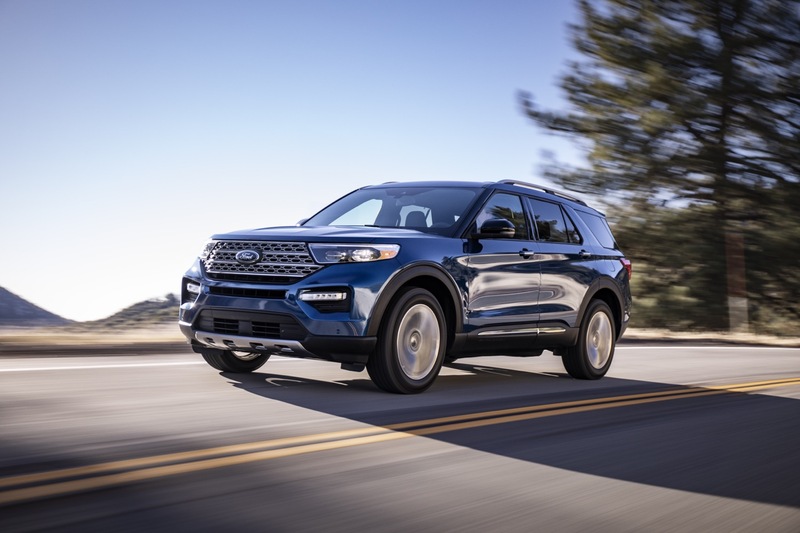 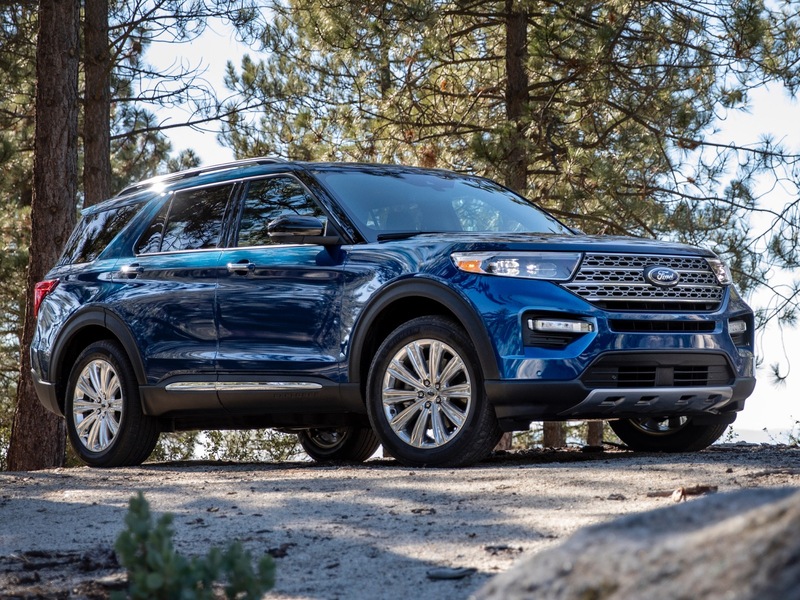 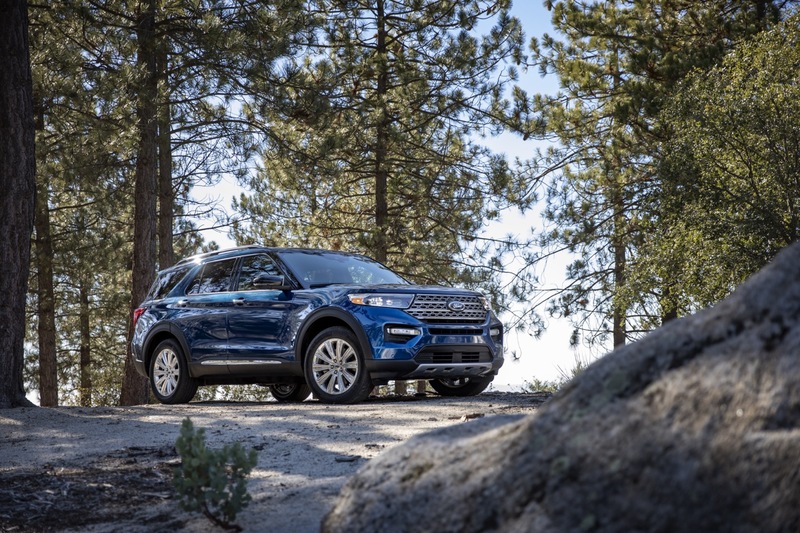 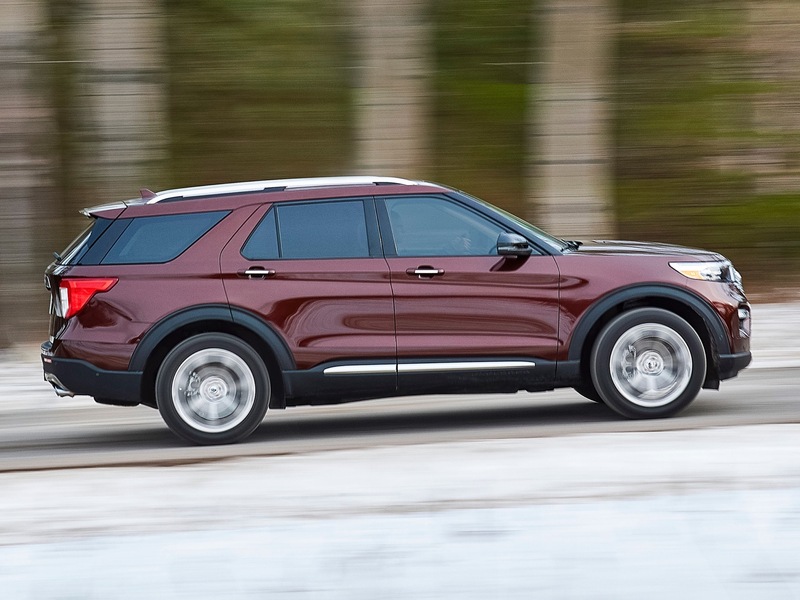 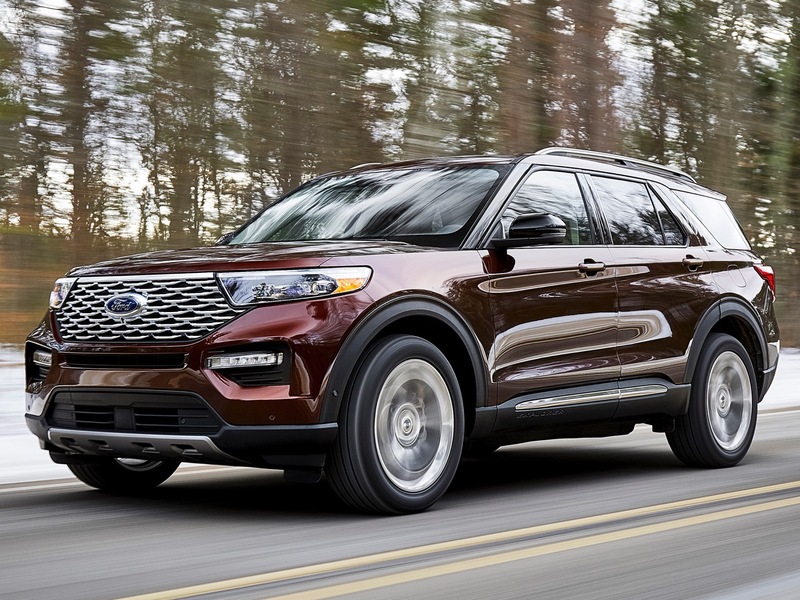 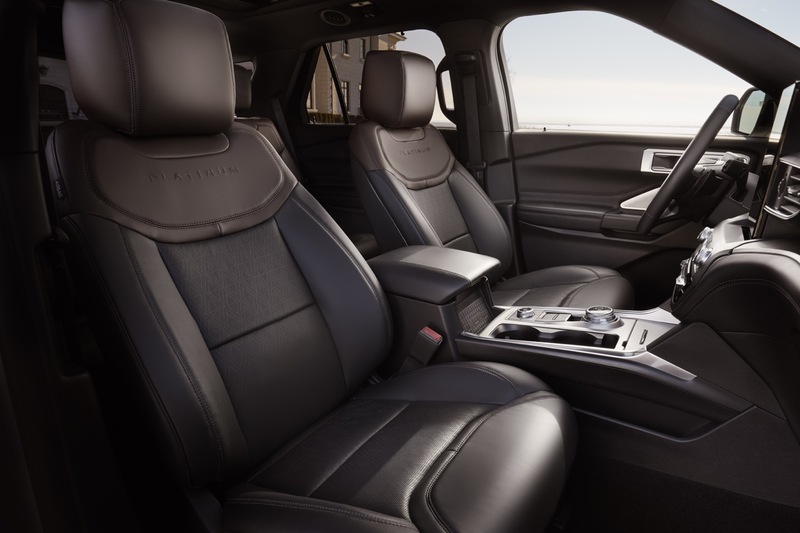 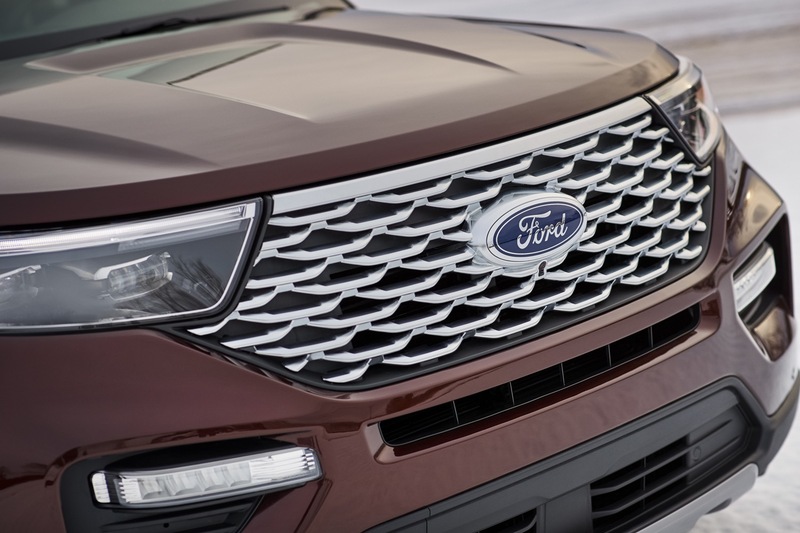 The new 2020 Ford Explorer interior pictures show a very clean and elegant design. 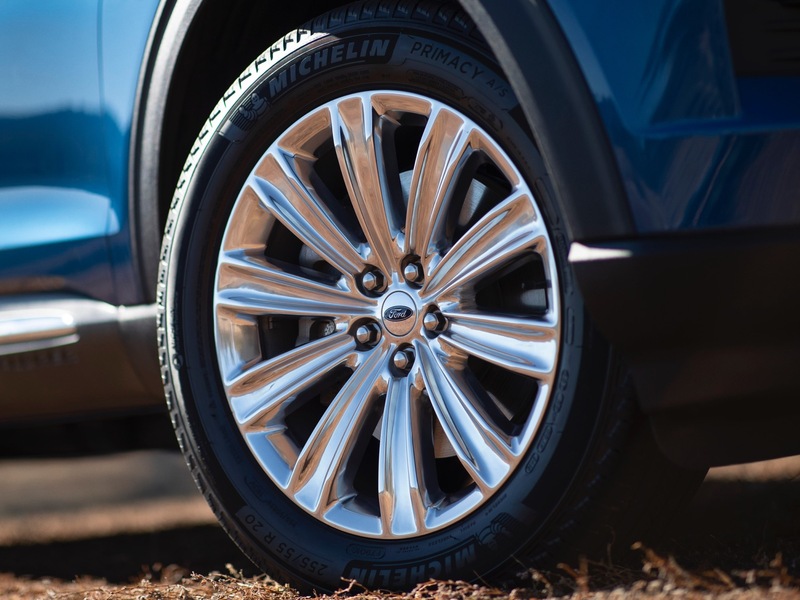 The model seen here is the Platinum trim featuring high-quality materials such as the muted, matte-finish gray wood. 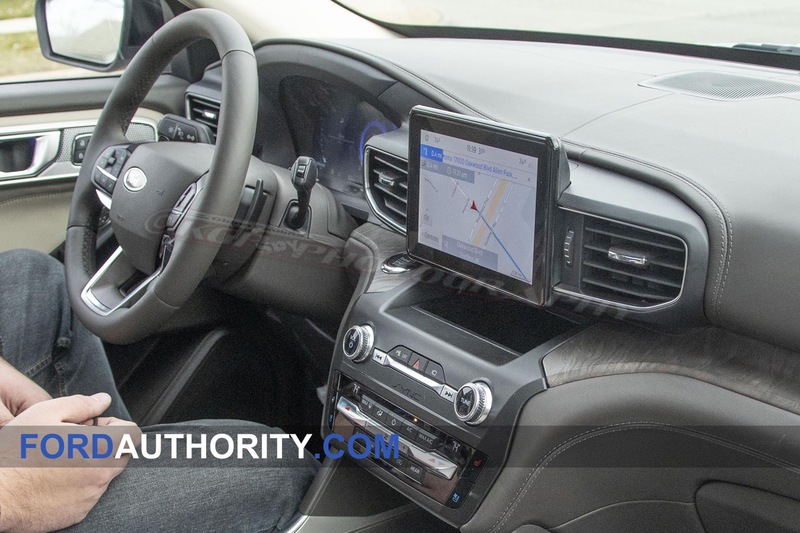 The center stack starts off with a floating and upright LCD screen that’s flanked by AC vents. 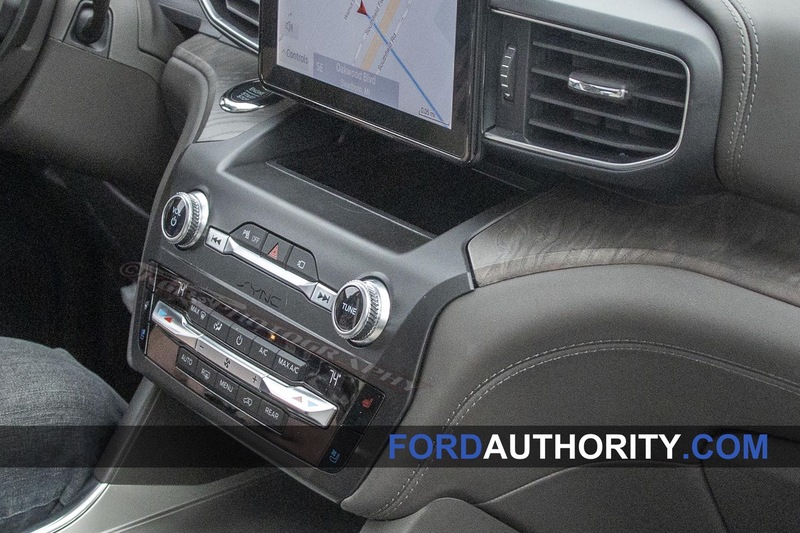 A storage cubby resides beneath the screen while the push-button start control is located on the horizontal portion of the dashboard’s “wings”, just after the center, driver-side AC vent. 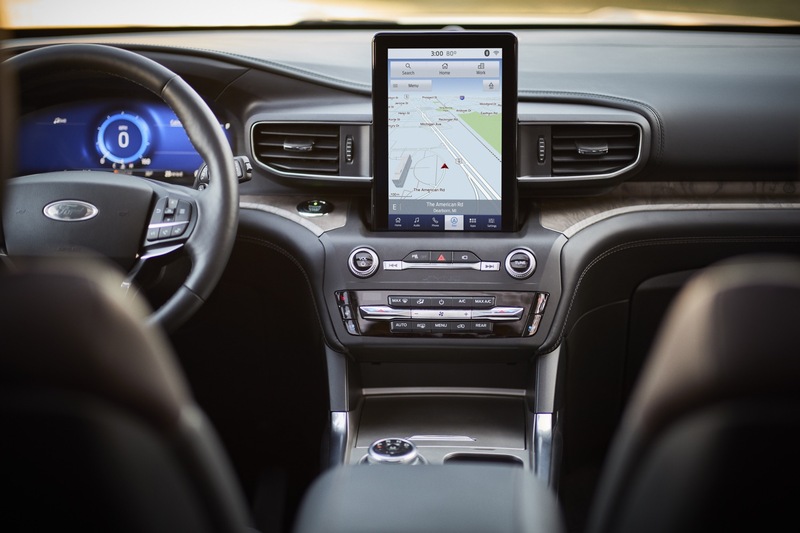 Below the screen is a set of two tidy and symmetrical layers of control: the top row houses a few vehicle controls along with those for the new-generation SYNC infotainment system system, while the bottom row houses the HVAC controls. 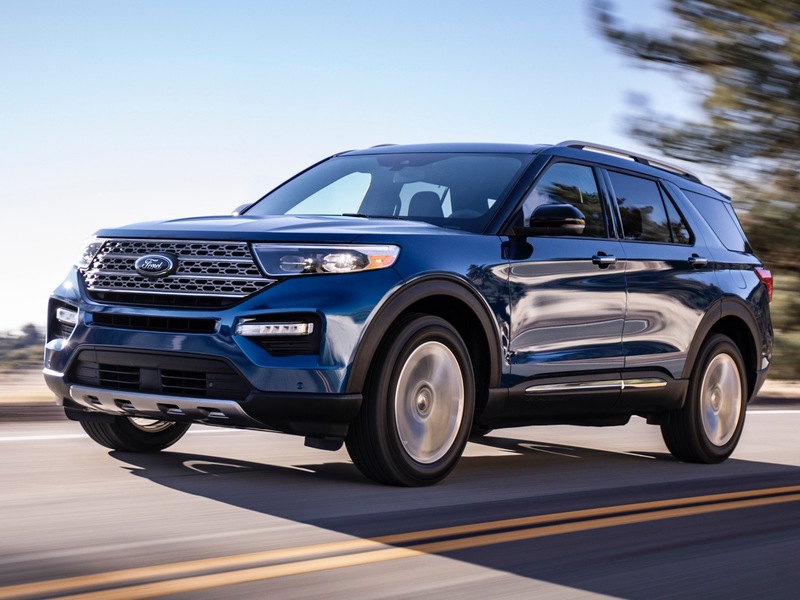 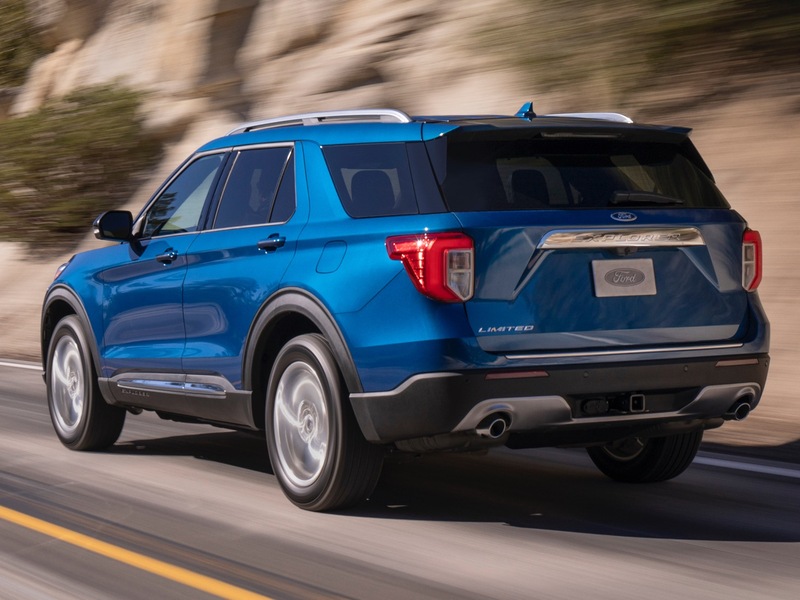 The center console of the 2020 Ford Explorer interior features a large, rotary dial that serves as the gear selector. 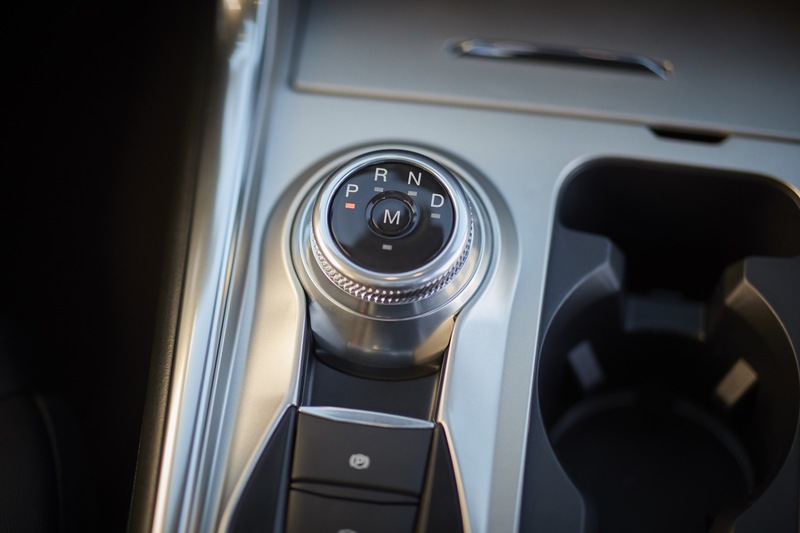 It’s followed by an electric parking brake control, a button to disable engine auto stop-start, and a smaller dial that serves as the Drive Mode selector. 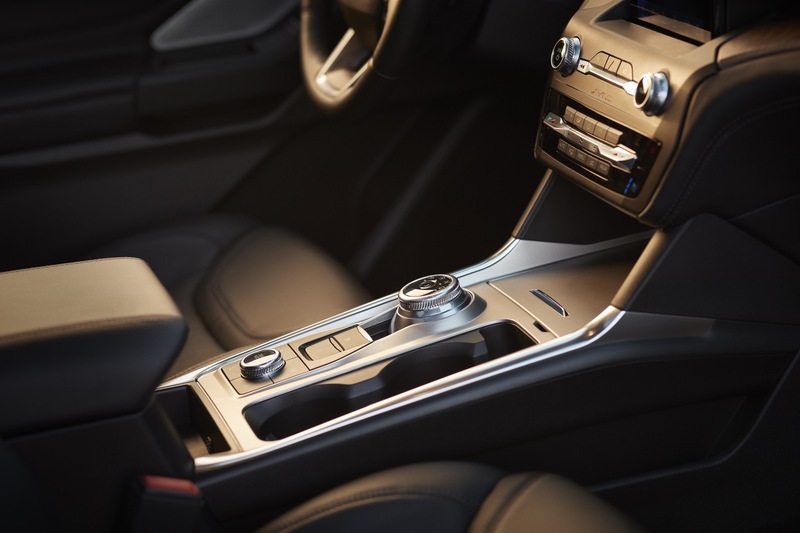 A set of two exposed cup holders are situated closer to the passenger side of the center console, while a push-to-open storage space is located on the front-post portion of the area. 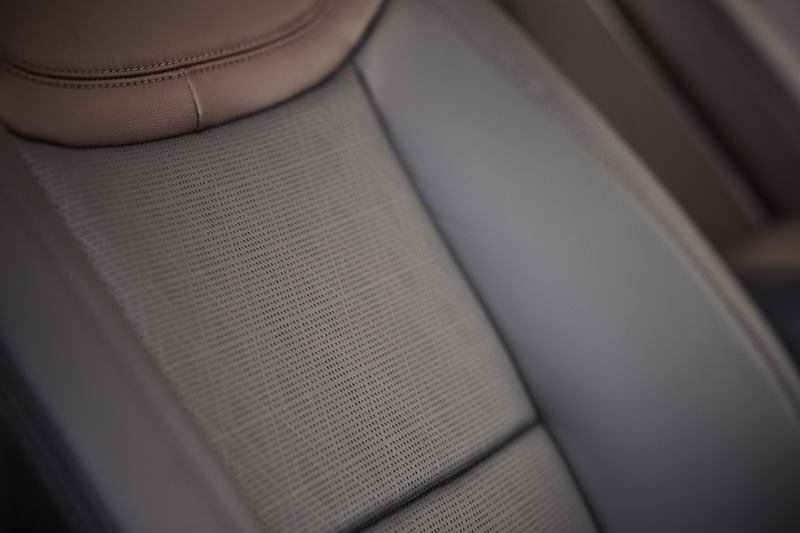 The entire ensemble has a very clean appearance, with tactile buttons and knobs. 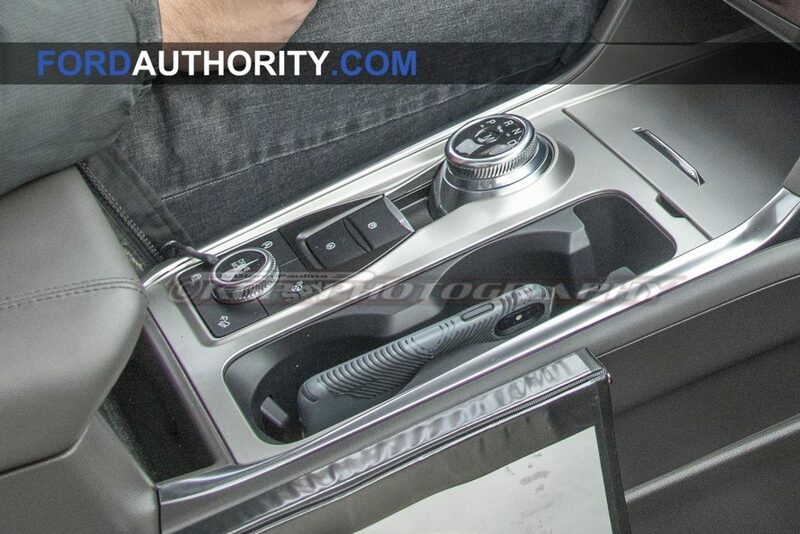 A set of black, plastic paddle shifters can be seen immediately behind the steering wheel. 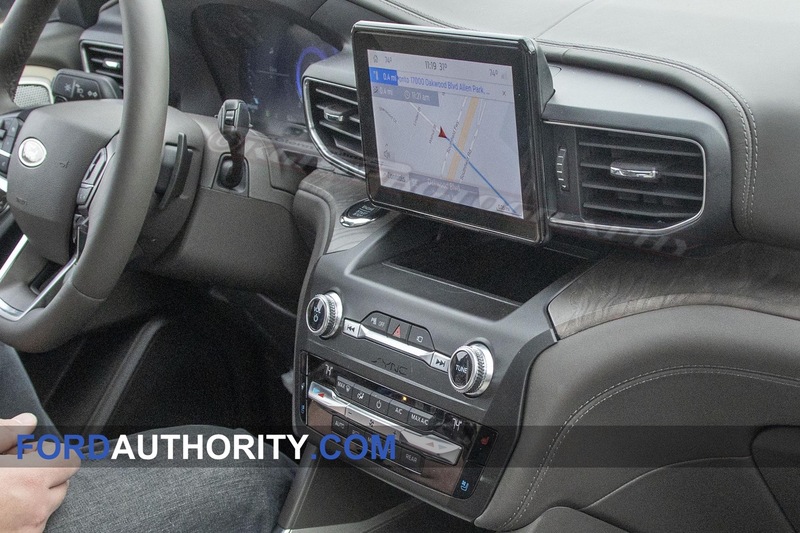 Behind the paddle shifter resides a rather large gauge cluster that appears to be completely digital. 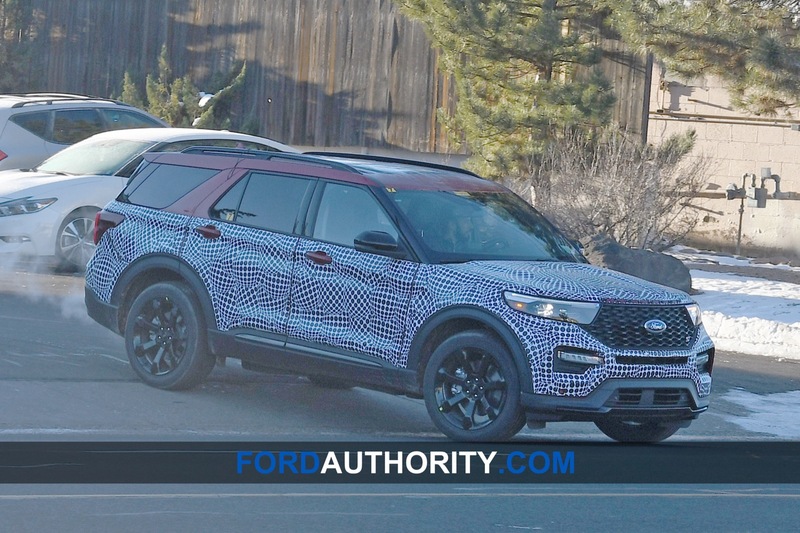 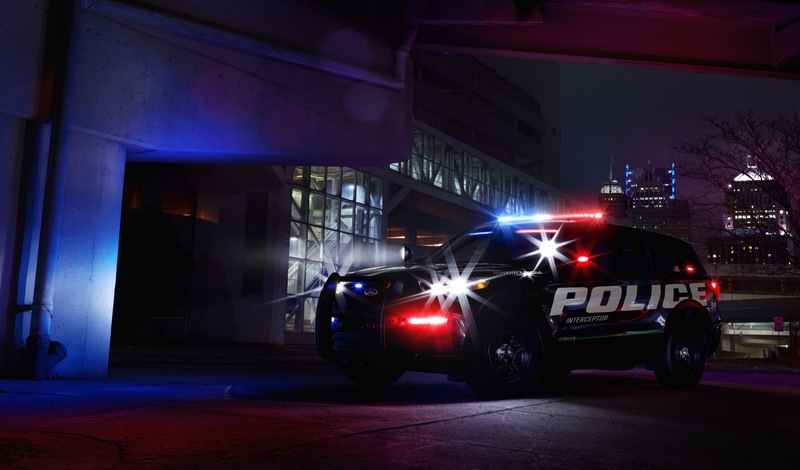 Next story Ford Now Benchmarking The Jeep Wrangler – Is It For The 2020 Bronco? 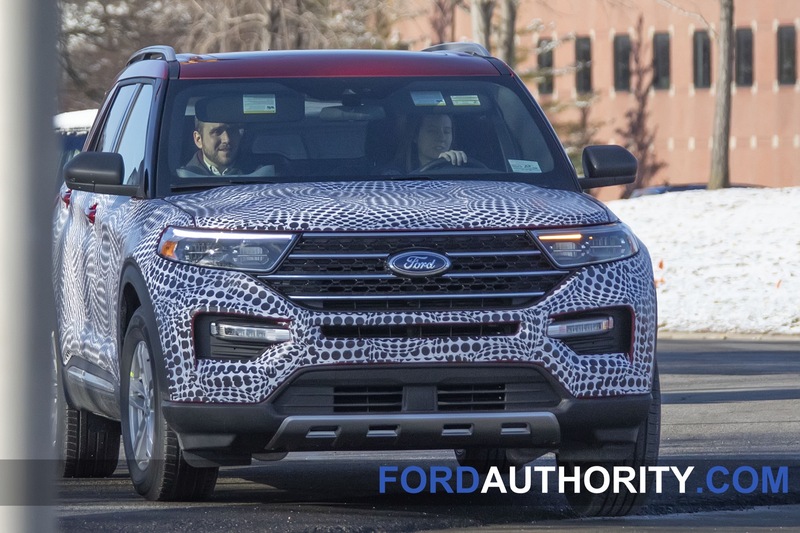 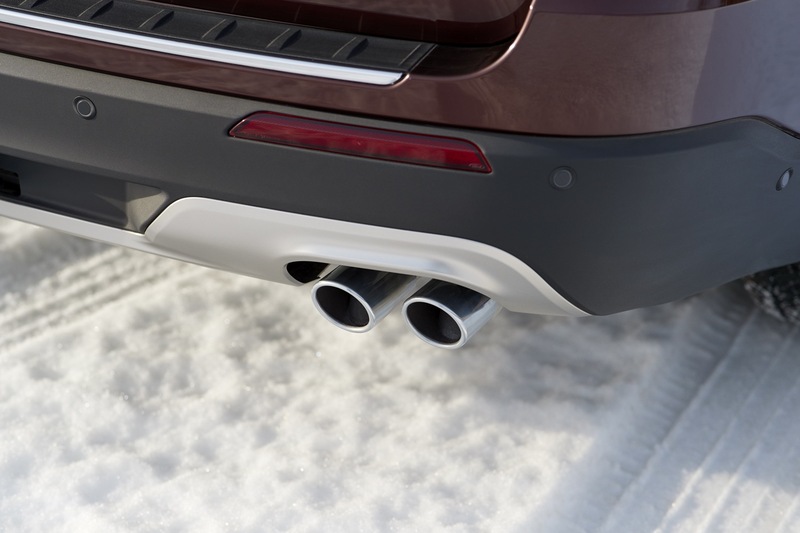 As the owner of a 2017 Explorer Sport, I hope this was simply a first prototype that’s been updated since. 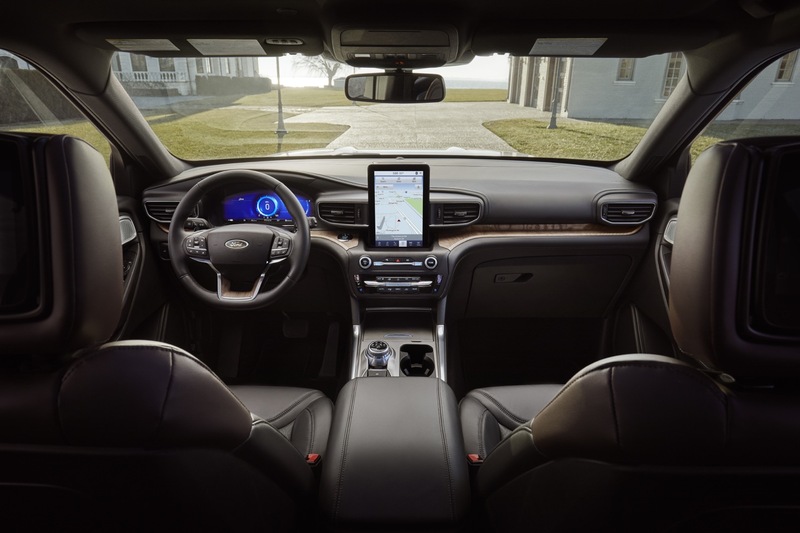 That screen placement looks like they designed the instrument panel and forgot a screen so they smashed it in between the vents as a last minute fix. 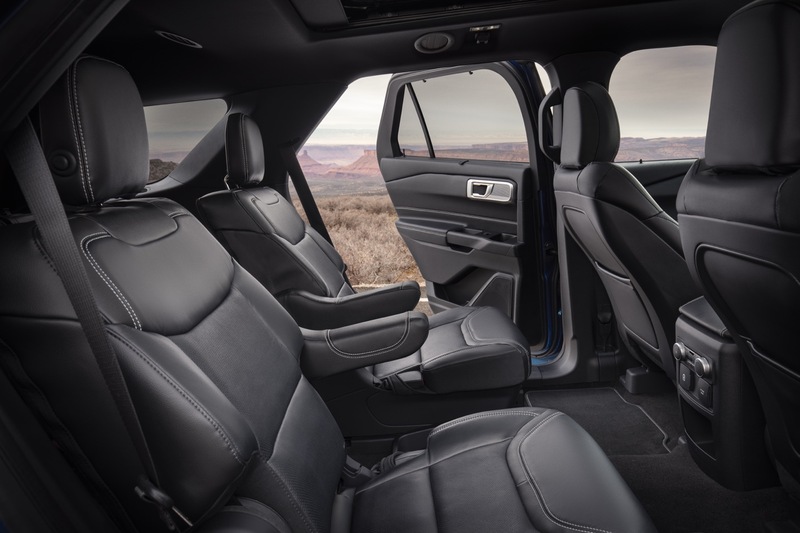 My 2017 interior is cleaner and flows nicer than that. 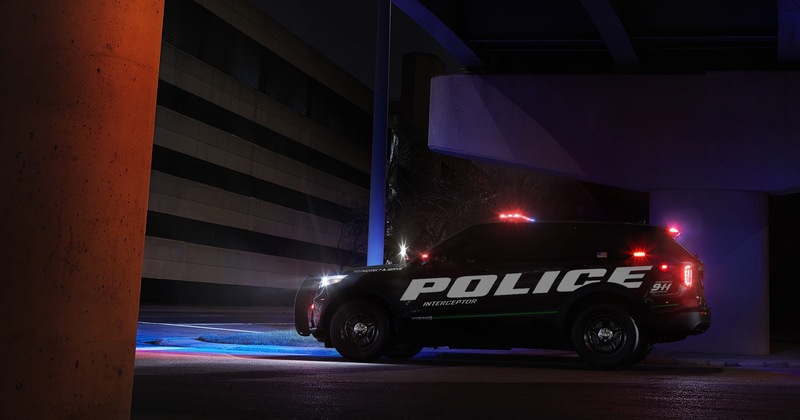 I might be switching to a Tahoe if that’s final production. 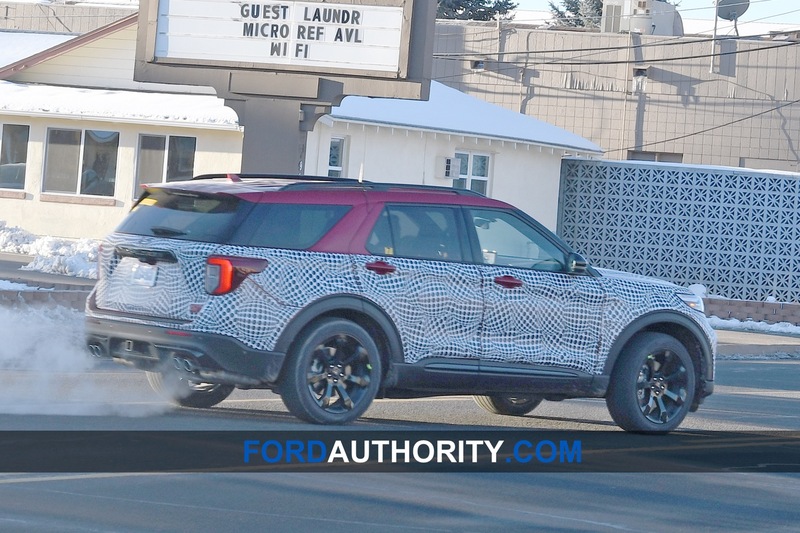 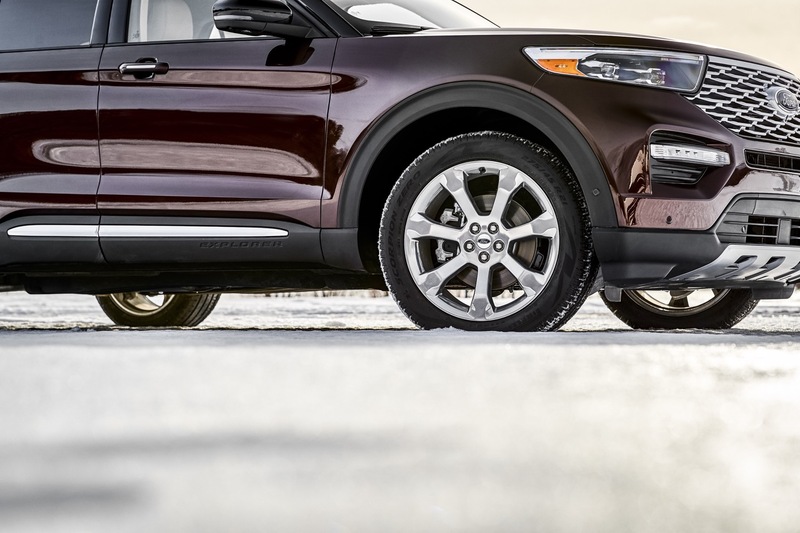 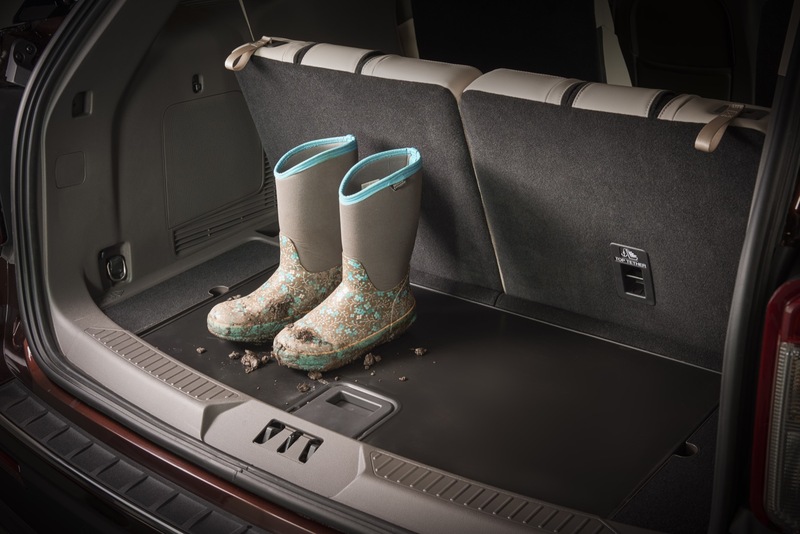 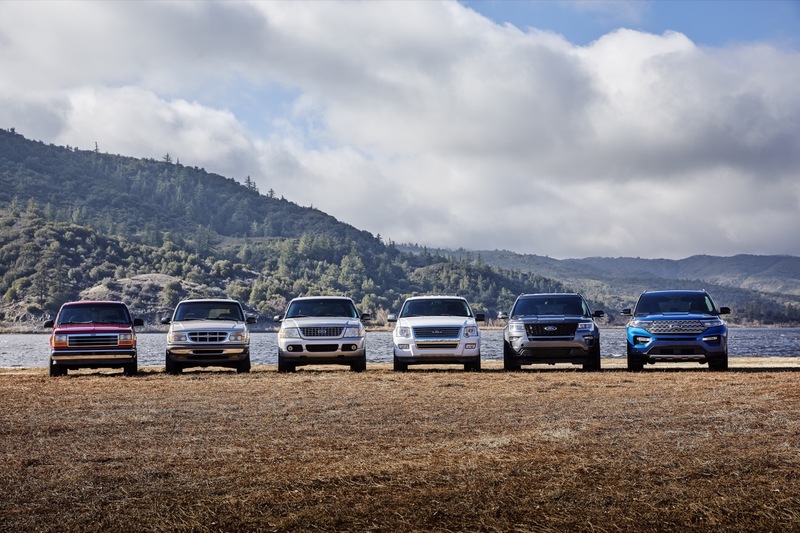 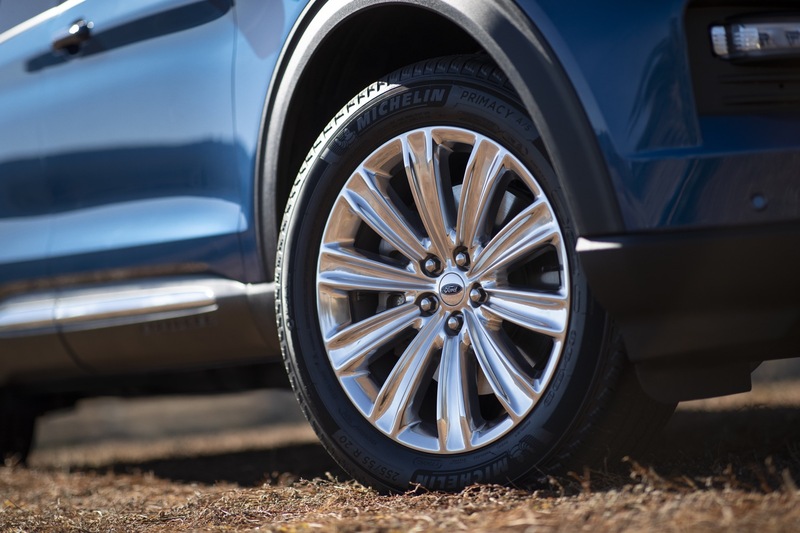 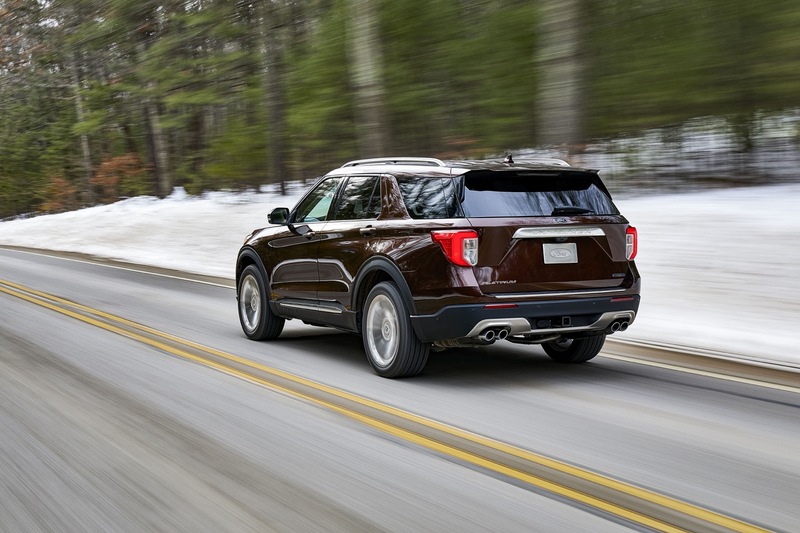 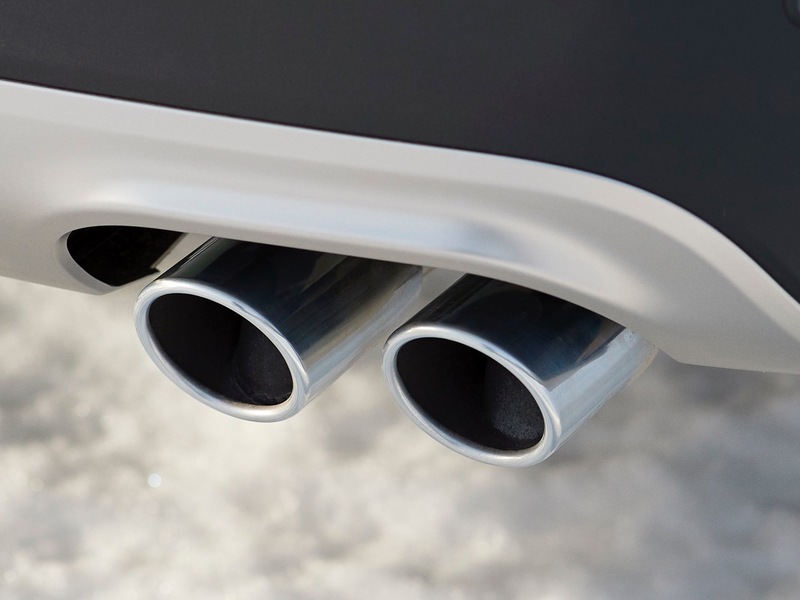 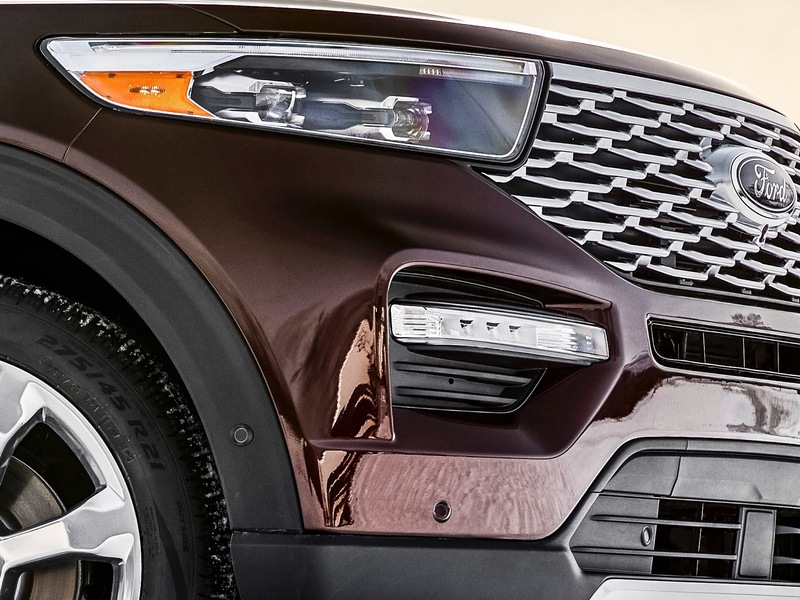 Seeing these images is a preview of what the 2021 Aviator may have inside, as it is the Lincoln version of the Explorer. 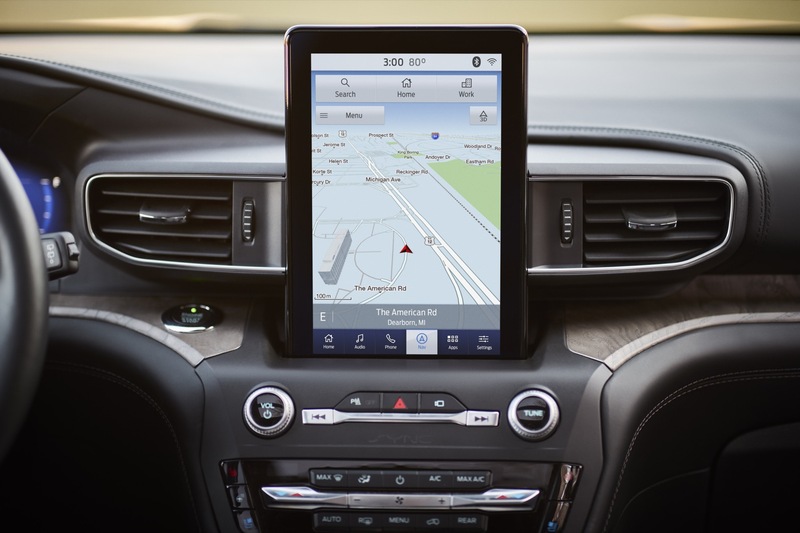 The Fusion has a better screen layout than the Explorer.